Last night, I received an awesome surprise! 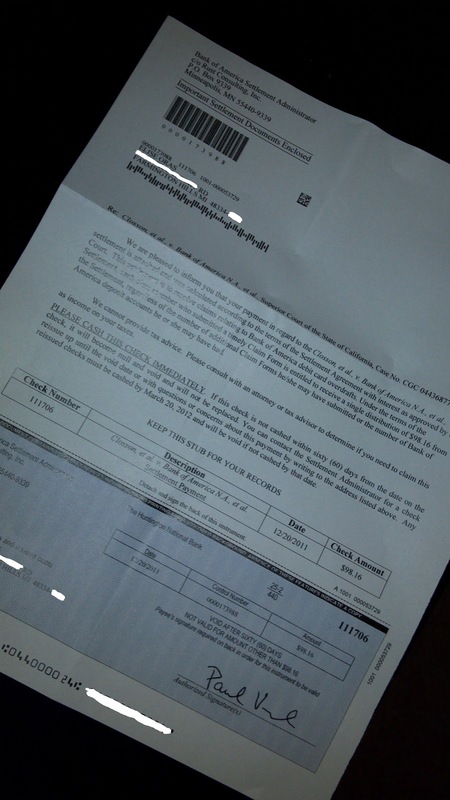 A check from a class action lawsuit against Bank of America. I actually wrote about this class action lawsuit in January of 2009. It's been three years, so I had pretty much forgotten about this lawsuit. Yay for bonus money!